Which is better — redemption or revenge? Why not both, Big Red Car? Big Red Car here on a slightly gray day in the ATX, but yesterday was glorious. 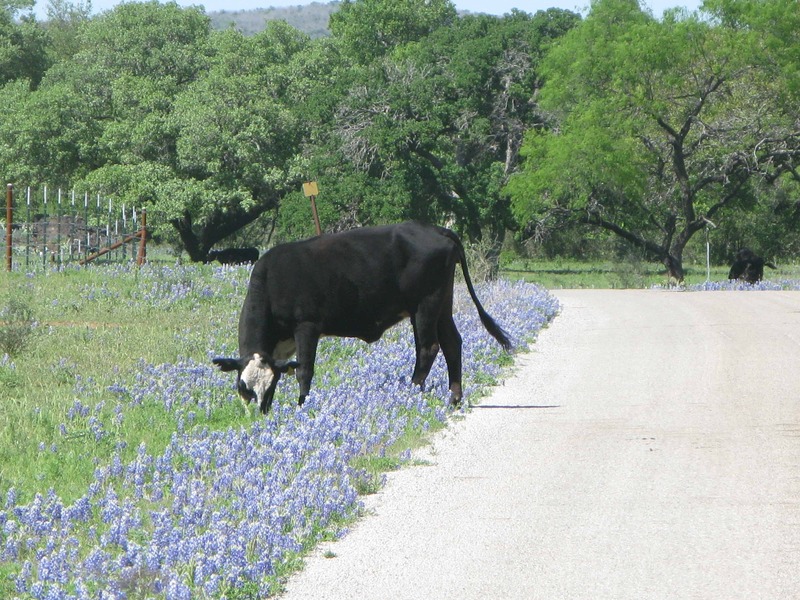 Out touring the Hill Country checking out the bluebonnets, the poppies, the Indian paintbrush, and, of course, the cows on the roads. 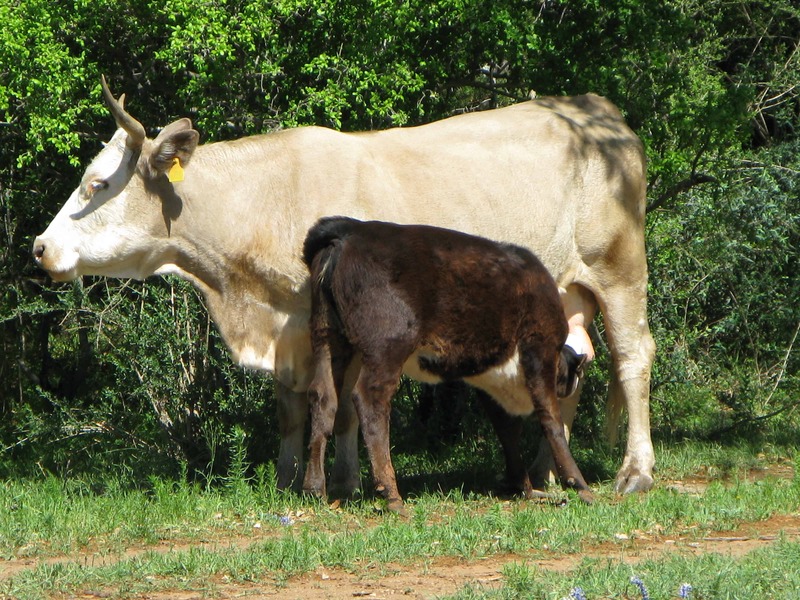 Hill Country Big Mac on the hoof grazing amongst the bluebonnets. Be careful driving about the roads where the livestock have the right of way. This is, of course, Texas. So, in the women’s Big Dance, the Mississippi State girls beat the University of Connecticut girls in an overtime game. The game was won on a last second shot and the final score was 66-64. The really story — what writers like to call the “backstory” — is that a year ago, the UConn girls beat the Mississippi State women like red headed stepchildren by 60 points in a Sweet Sixteen matchup. OUCH! Redemption, Big Red Car? Or Revenge? Different kind of nursing as Momma provides a bit of liquid nourishment to her baby. 1. A year ago, UConn trounces Mississippi State by SIXTY in a Sweet Sixteen game. 2. The Bulldogs (Mississippi State) marinate in that beating for a year. 3. Meanwhile, the Huskies (UConn) are enjoying a 111-game winning streak and show up again at the end of the season expecting to continue that streak for — well, forever. 4. The Bulldogs find a way to beat the Huskies in an overtime game in which the smallest player on Mississippi State drives the dagger into the heart of the big, bad Huskies. Sometimes, life provides an opportunity, like this, to teach a lesson to all of us. Even better — it really happened. It’s the truth. Can you stand a little truth? 1. The Bulldogs lived with a crushing defeat for a year and came back stronger, with more resolve, and took revenge thereby redeeming themselves. 2. The Bulldogs coach, Vic Schaefer, showed his young women the movie Miracle, about the US hockey team’s electrifying Olympic triumph against the Soviet Union’s hockey team in Lake Placid at the 1980 games. He showed them that miracles can happen and then he asked them to create one for themselves. He risked something in order to inspire his team. Remember this, y’all. Greatness does not come without risk. 3. Most importantly, one man — that coach — believed and inspired and led. He made the Bulldogs believe they could and then he put them into the position to prove it to the world and themselves. He put them in the position to win. To beat a team which had slaughtered them by sixty the preceding year. He told them they had it in them and he showed them where it was living. Inside each of them. And, that, dear reader, is your job as a CEO, as a leader, as a parent — to put your team in a position to win through hard work and inspiration and believing and something more — by taking a damn risk to be great. Take a risk to be great in everything you do. 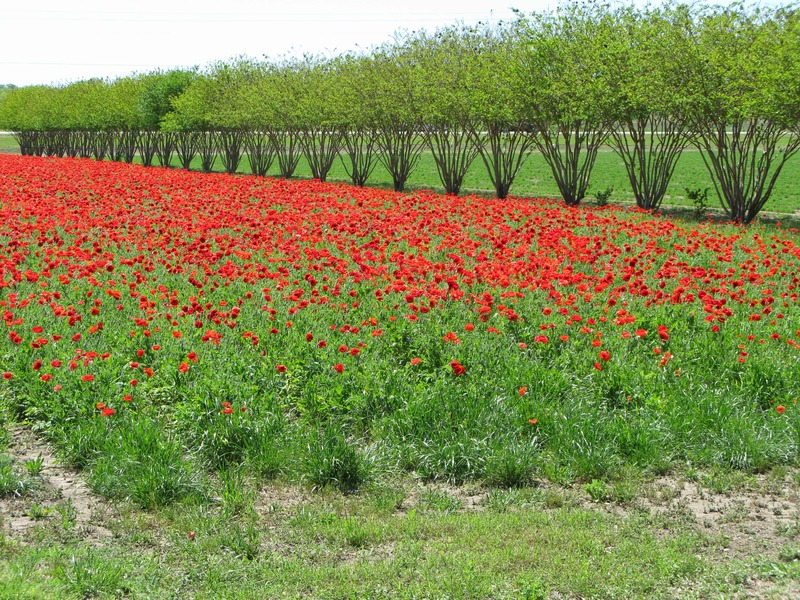 Poppies protected by a wall of crepe myrtles in the Hill Country. But, hey, what the Hell do I really know anyway? I’m just a Big Red Car. Hook ’em Heels, win it all! This entry was posted in Advice, CEO and tagged greatness, leadership, redemption, revenge. Bookmark the permalink. What can a CEO learn about considering how the Mississippi State Bulldogs beat the University of Connecticut Huskies in the Women’s Big Dance? Particularly as the Huskies had administered a SIXTY point thrashing on the Bulldogs a year ago and were enjoying a 111-game winning streak. You can’t learn it, if you don’t read it.